Jonathan L.S. Byrnes, Senior Lecturer at MIT, is an acknowledged authority on profitability management. His extensive experience spans virtually every industry, including healthcare, transportation, software, retail, financial services, distribution, and others. 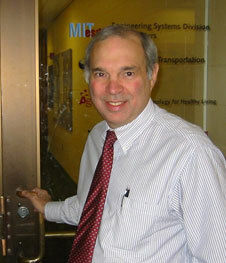 At MIT, Dr. Byrnes has taught at the graduate level and in executive programs for over twenty years. He has authored over one hundred books, articles, cases, notes, and expert submissions. In addition, he wrote a monthly column on managing profitability for Harvard Business School’s Working Knowledge for four years. He has advised over fifty major companies and industry associations, and he is Founding Partner and Chairman of Profit Isle (www.profitisle.com), a trusted partner that combines state of the art big data analytics and change management to accelerate the profitability of tens of billions of dollars of annual client revenues. He has led a number of projects that have produced high value and lasting innovations, including direct development of several new, widely-followed business practices, including vendor-managed inventory, profit mapping, and comprehensive profitability management. He has guided major organizations through programs of large-scale renewing change, operations and supply chain reorganization, major account management and coordination, and strategic repositioning. He also has advised one of the most prominent consulting companies on the development of an integrated national practice, and another on competitive strategy, consulting products, and marketing approaches for its supply chain and operations practice. Dr. Byrnes serves on the Board of Directors of MSC Industrial Direct, Inc. (a New York Stock Exchange company), and Harvard Magazine. He has served on the Advisory Boards of Objectiva Software, Autopart International, and Oco, three companies that were acquired at a substantial gain, and he currently serves on the Advisory Boards of WaveMark (MA), Magnuson Hotels (UK and WA), and RMG Networks (CA), all development-stage companies. Dr. Byrnes earned a DBA from Harvard University in 1980.